Merry Christmas everyone and Happy Holidays. We hope each of you has a wonderful and safe holiday season. And don't forget your pets - they'd love an extra holiday treat and some extra holiday attention as well. 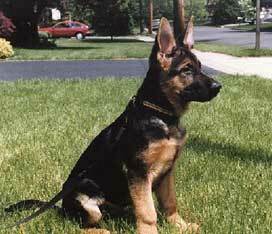 A solid black GSD is a very acceptable coat color in the German Shepherd Dog breed. There are lots of new photos to check out here.